Did you know that 70-80% of American adults are magnesium deficient? Magnesium deficiency causes electrical imbalances in the heart, which can be life-threatening. This is an often overlooked essential mineral that is lacking in our diets. Due to overfarming and large-scale agriculture, the soil is depleted of this essential nutrient. If the plants don’t absorb magnesium from the soil, we can’t absorb it from the plants. Magnesium deficiency is linked to inflammation and higher stress hormones in the body. 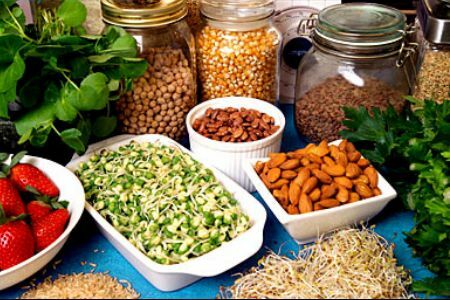 Regular acupuncture treatments can also ease all the symptoms associated with magnesium deficiency, as well as increase your body’s ability to absorb minerals from your diet! Most of us need a magnesium supplement, as it very difficult to get enough magnesium from our modern food supply. Oral forms are often poorly absorbed, but magnesium oil applied topically is an effective alternative. I also highly recommend taking Epsom salt baths to increase your intake. In addition to being therapeutic, Epsom salt baths are relaxing and will help with insomnia and muscle cramps within hours. Magnesium has a powerful relaxing effect on the whole body. To use magnesium oil: Apply to exposed skin (legs, arms, abdomen) and rub in for 1-2 minutes. Allow to dry and absorb for 20 minutes and then rinse. 8 sprays give you about ⅓ of your daily recommended value of Mg. I use it before showering. For an oral form, I often recommend my patients use Natural Calm. Various types of magnesium have different effects. Magnesium glycinate is best for restful sleep. Magnesium malate has been shown to improve energy and mitochondrial function. Magnesium citrate works as a safe and gentle natural laxative for bowel regularity. For more information and resources on the science behind magnesium deficiency check out Christiane Northrup, MD’s Huffington Post article and Mark Hyman, MD talks about magnesium deficiency.